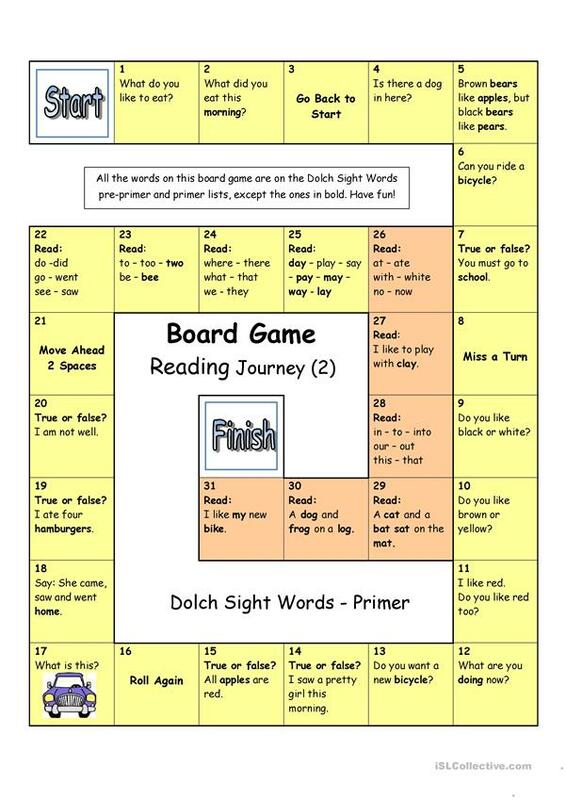 I made this easy Reading Board Game for one of my low-level students who struggles with reading. 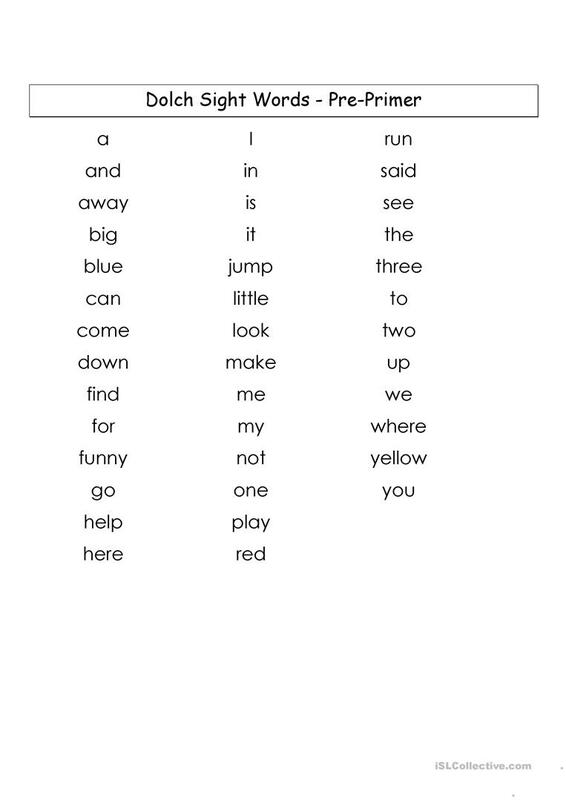 It contains most sight words found on the Dolch Primer and Pre-primer Sight Word lists, plus some extra words. It is ideal to revise or enhance students´ reading skills and vocabulary - esp. sight words. Especially suitable for beginners who have just started reading (perhaps using phonics), smaller groups or one-on-one classes. Have fun! 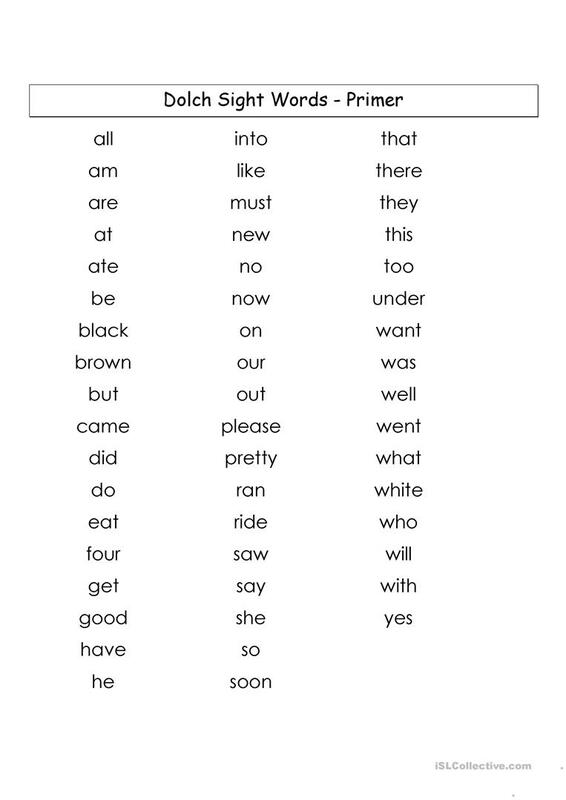 The present downloadable worksheet is best suited for elementary school students and kindergartners and nursery school students at Beginner (pre-A1) and Elementary (A1) level. It is a valuable material for strengthening your groups' Speaking and Reading skills. There is an answer key provided with the exercises.